For the last five years I’ve managed to run at least one class for making a tool chest or tool box of various shapes, sizes and spec. This year will total four classes in all, two Japanese tool box classes and two boarded chests. 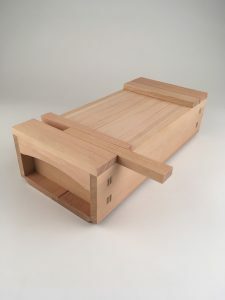 The next Japanese tool box class will be held at Robinson House Studio in October and can be booked here. The first of the Boarded Tool Chest classes will take place over three days (18th-20thJuly) and will be the first class I’ve held at London Design & Engineering UTC. See Preliminaries and obligatory house notes for more information about this amazing facility. 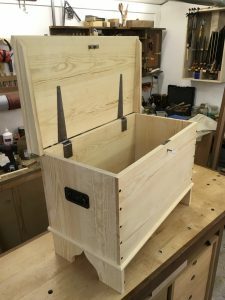 Referred to as the Baby Anarchists Tool Chest by Chris Schwarz at Lost Art Press this style of chest is perhaps the fastest rout to obtaining a fully functioning tool chest capable of storing all the tools you need to make pretty much any piece of furniture you will ever need. You can find all the details and book a place here. The second Boarded Tool Chest will be held at West Dean over four days in November (1stto 4th) although you will need to attend the induction session (held in the bar) in the evening of 31stOctober. 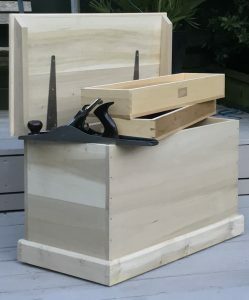 The format for this class will include finishing your tool chest with a faux oak grain effect taught by award winning special effects artist and decorator Martin Green. Everything you need to know about this course including booking can be found here. Please note at the moment their website is displaying an image from last years course. Although similar in many ways these two courses do have very different outcomes. The course at LDE (Course 1) will focus on construction using rebate joinery and cut nails for the chest. We will also make two sliding tills for the interior using the same method of construction. Adding a plinth constructed using dovetails is optional. We won’t have the time to paint, polish or wax your chest on this course. 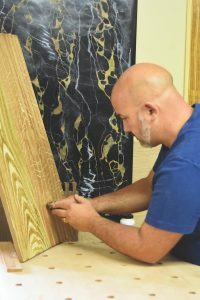 The course held at West Dean (Course 2) will again use similar joinery; fast, easy and reliable to get you to a stage where you will have the chance to learn the fine art of graining. In short we will take our poplar (tulip wood) and make it look like quarter sawn English oak. We will not be making the sliding tills on this course. So there you have it, two options (three if you include the Japanese tool box) to choose from to get you kitted out with an all singing all dancing tool chest this year.